Paul Merson has suggested Manchester United to sign Arsenal superstar Alexis Sanchez. Arsene Wenger has repeatedly stressed that Sanchez will not be sold during this transfer window. However, former Gunners’ midfielder and current pundit Paul Merson believes that Manchester United can get the Chilean attacker for a bid higher than £50 million. Alexis Sanchez has just a year left on his contract with Arsenal, and the player has been a topic of great interest from a number of clubs across Europe. Yet, Arsenal boss Arsene Wenger has maintained that he will not be sold during this transfer window. The determined French manager is even open to let Sanchez leave for free next year than sell him this year. Paul Merson, on the other hand, believes that Manchester United can sign the former Barcelona player in their bid to challenge for the title. 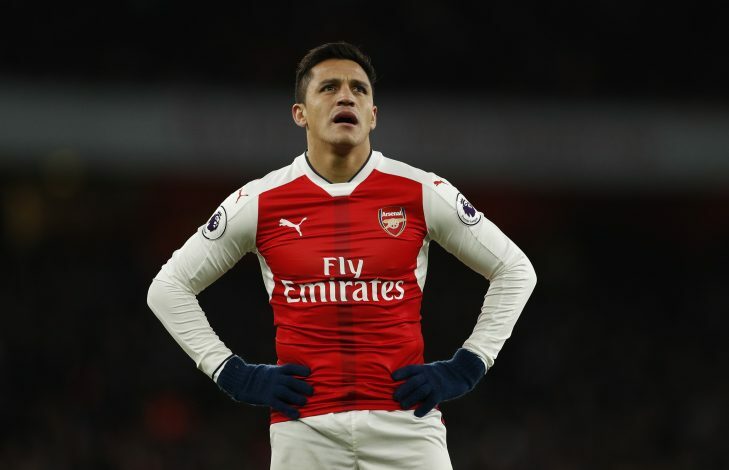 While talking to Starsport, Merson said: “Manchester United should make a bid of more than £50m for Alexis Sanchez because he could bring them the title. The former Arsenal player then elaborated how he feels Sanchez could make a difference for Manchester United. “But if they got Sanchez, I would. He would make a massive difference. Arsenal won’t sell him to a rival for £50m but if United offered £60m or £70m he goes. United can afford it as well. They would get most of it back in shirt sales,” he concluded.